The phone has a 4.7-inch FHD IGZO display (469ppi), a 64-bit Snapdragon 617 (MSM8952 - 4 x 1.5 GHz and 4 x 1.2 GHz) processor, 3 GB of RAM, and 16 GB of onboard storage (expandable using microSDXC memory cards). 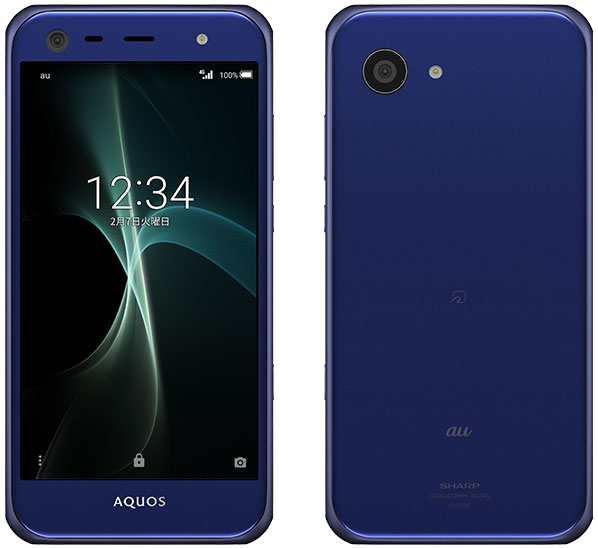 The Aquos Serie SHV38's most impressive feature is its camera: the main one is 21-megapixels OIS (optical image stabilisation), F 1.9, NightCatch II, Real-time HDR, high-quality zoom, with the "capture later" functionality introduced in earlier models (cut image from a short 4K2K video clip). The camera sensor is actually the same as that on the Summer 2016 collection devices. The improvement is now in the secondary camera: an 8 MP wide-angle sensor that can now capture almost 100-degree shots, and is also equipped with NightCatch II, like the front camera - for those selfie-maniacs who must be able to take pictures of themselves in the dark. The SHV38 is waterproof (IPX5/7) and dustproof (IP6X). Familair features include Sharp's AI Emopa that also has a health-care functionality and the Hikari emotion LEDs. Further connectivity is achieved using Wi-Fi (a/b/g/n/ac), Bluetooth 4.2, OneSeg digital TV. The Aquos Serie SHV38 mini comes with Android 7.0 preinstalled. On 4th July 2018, an upgrade to Android 8.0 rolled out. It measures 67 × 135 × 8.6 mm and weigh approx. 135 grams. It is offered in three different colours: navy, white, and champagne pink.